I’m guessing you recognize this iconic scene from an essential 80s film, E.T. the Extra-Terrestrial. 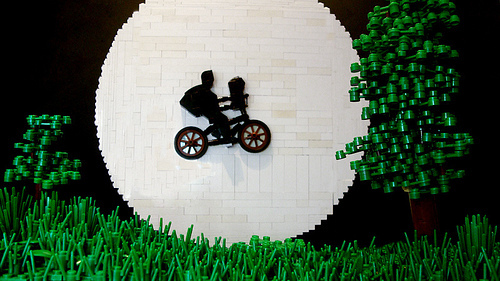 There are few images that can make you feel nostalgic quite like a bright moon and a boy on his bike. Noah McClung (Glory_Forever) has rendered it beautifully in brick.